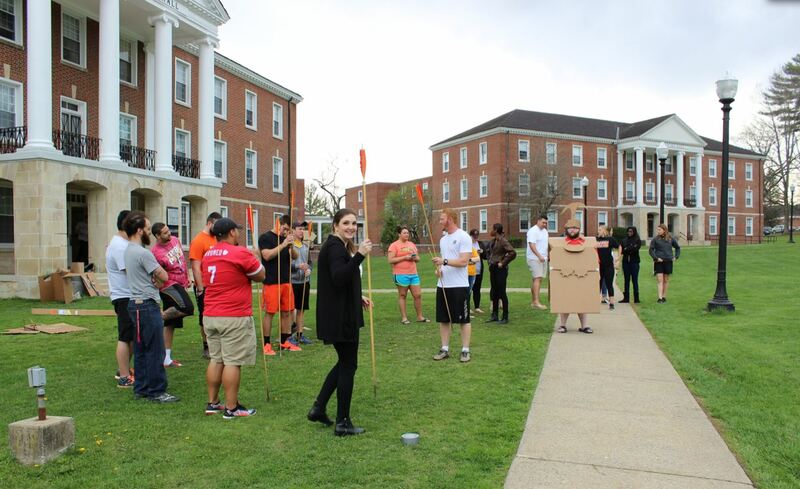 Professor Megan Leight recently brought her Andean Art Class outside to participate in Inca Battles and Atlatl spear throwing. Student recreated garb out of cardboard and squared off in ‘battles’ which typically ended when their cardboard failed. We’re so lucky to have Professor Leight in our department!